Still making stuff for my last craft show. 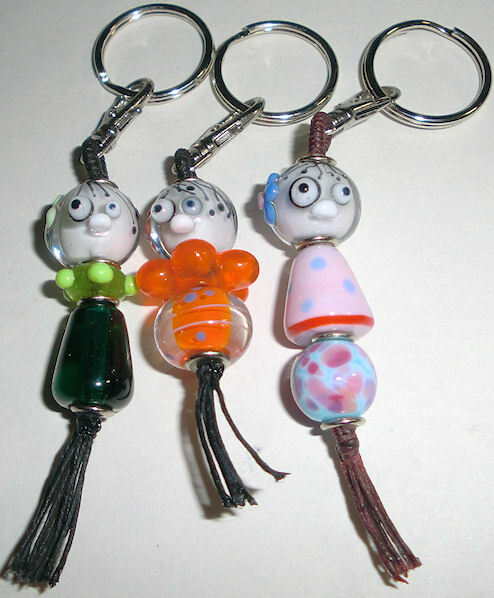 The goth girl beads seem to be a big hit so I made three more key chain. The nice thing about making the key chains or key finders is I get to use my leftover beads from previous projects. They start building up and don’t really go with anything. It’s kind of fun looking through my stash to find beads I’ve made a long time ago that will work.